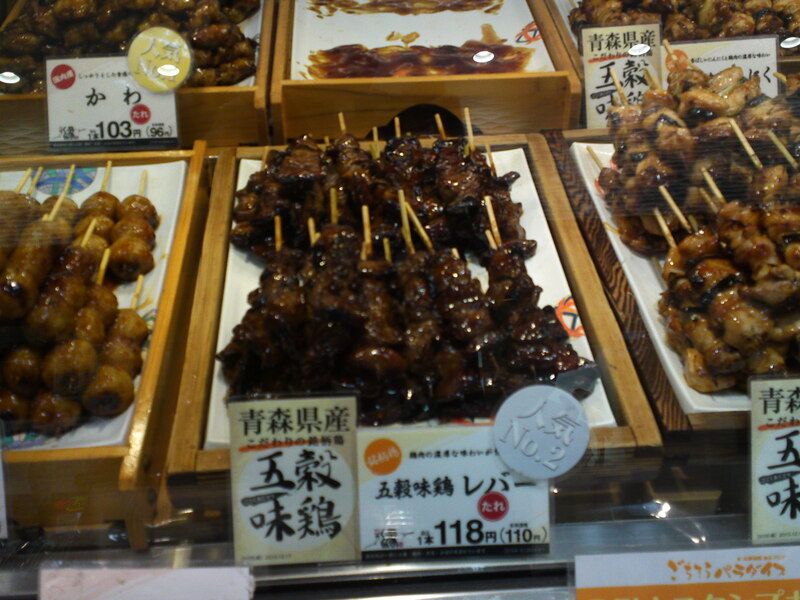 Yakitori and more Succulent Morsels at Ginza Enishi in Matsuzakaya Department Store, Shizuoka City! 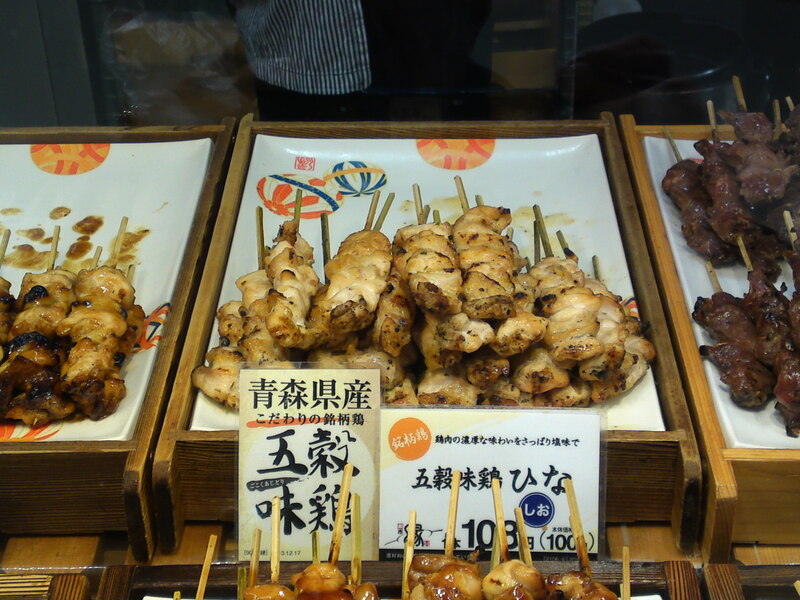 There is little need to introduce yakitori, a traditional Japanese gastronomy, which has become so popular far away from its borders! 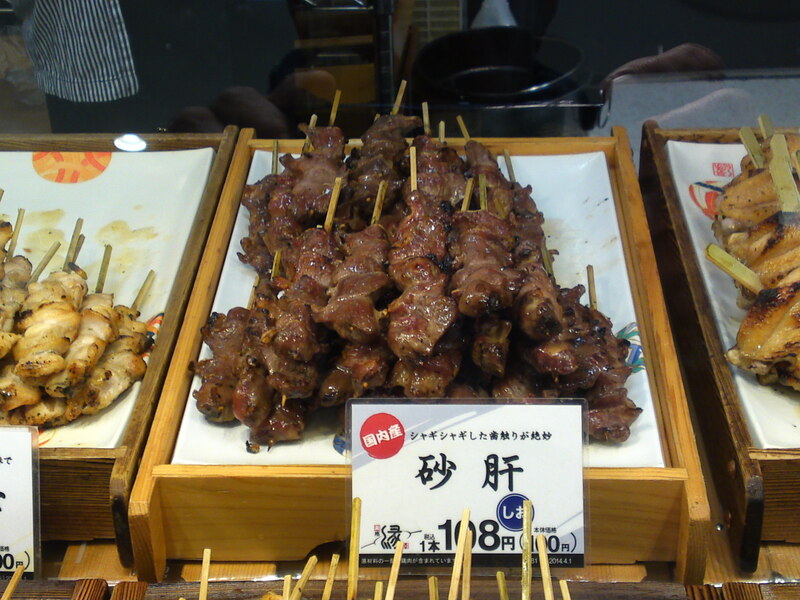 On the other hand good quality is not always evident even in Japan as there is little traceability available in most izakaya and cheap stalls. 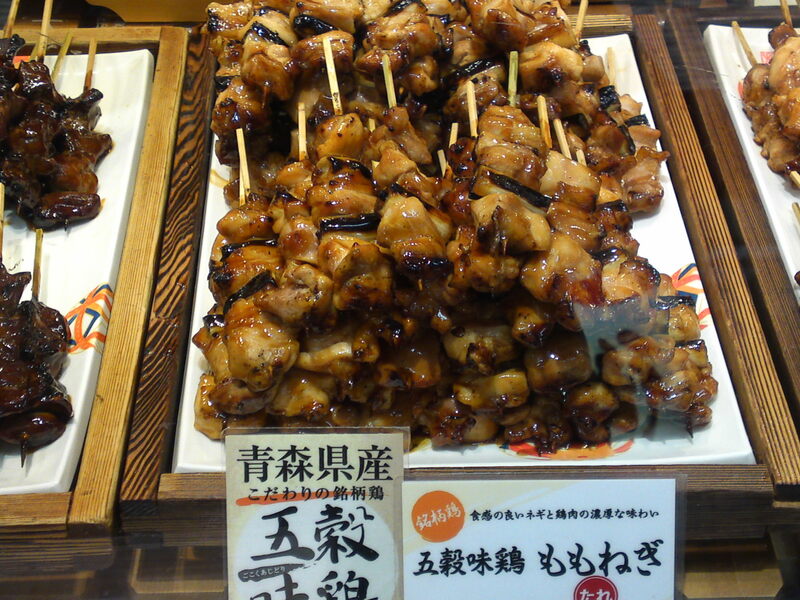 And if you do not want to go out at night and drink at the same time, it is definitely better to look for them in a specialized shop! 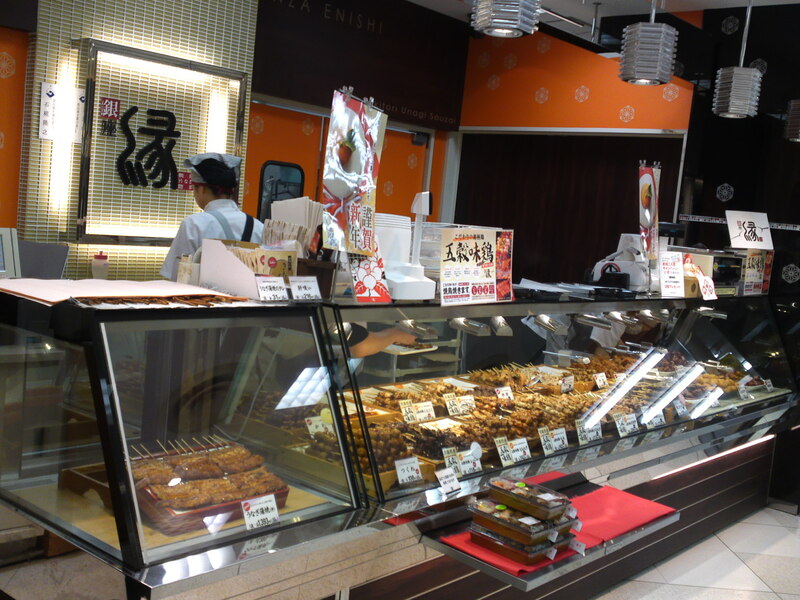 Luckily enough, we do have a great shop in Shizuoka City namely Ginza Enishi/銀座縁, conveniently located near the JR Shizuoka Station and main hotels on the Basement floor in Matsuzakaya Department Store across from the North Exit! 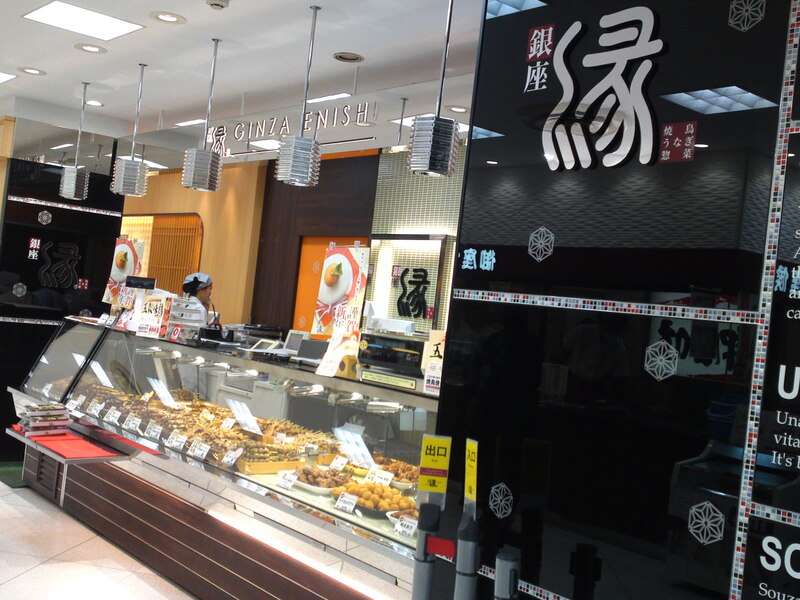 You will no miss it as it found along a narrow underground corridor linking both buildings! 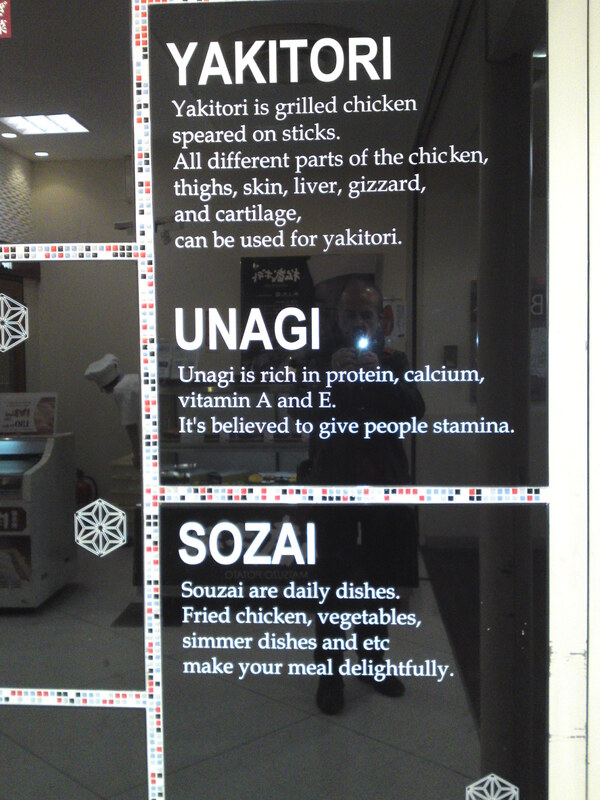 Now, that sign will be very useful to foreign visitors! 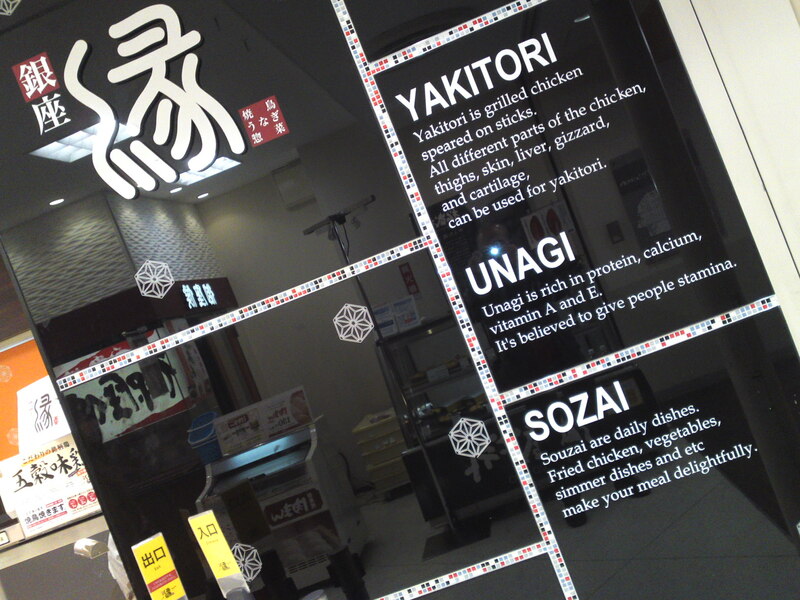 This is a rare piece of good service! 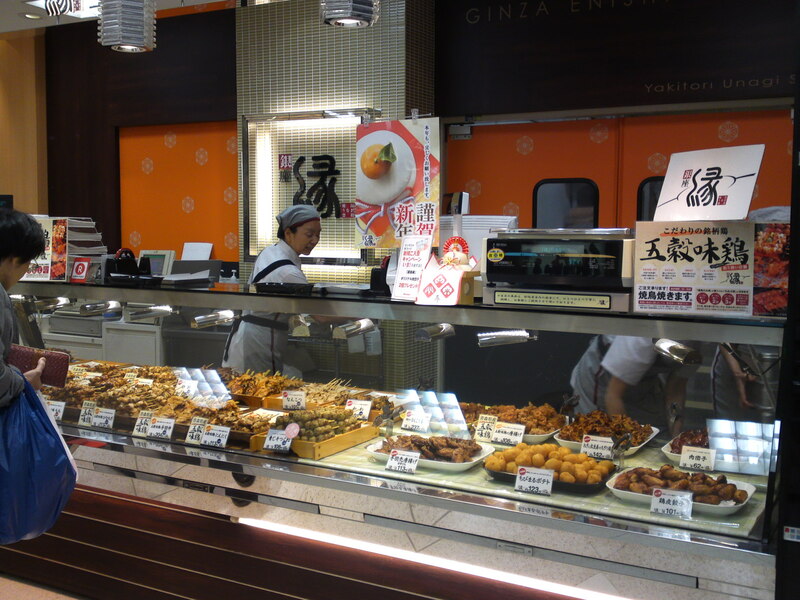 You will be able to purchase your favorite morsels at any time of the day, seven days a week and take them back to the hotel or along with you if you do not wish to go to an izakaya or restaurant! 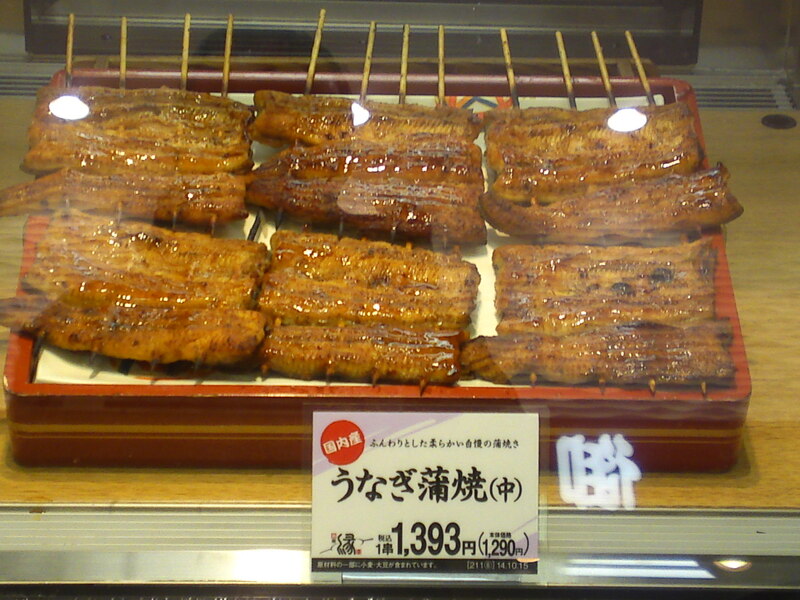 Their freshness will insure a superlative taste even cold! 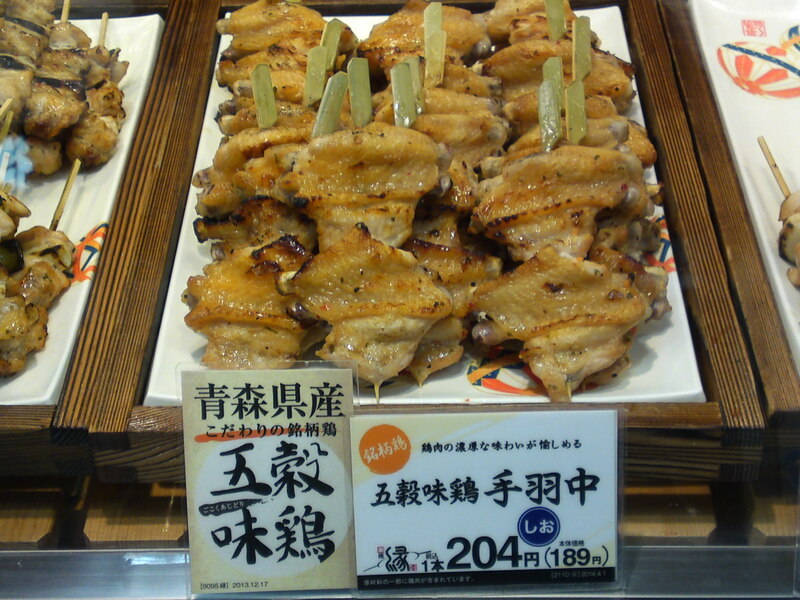 All the chicken comes from a contracted poultry farm in Aomori Prefecture! 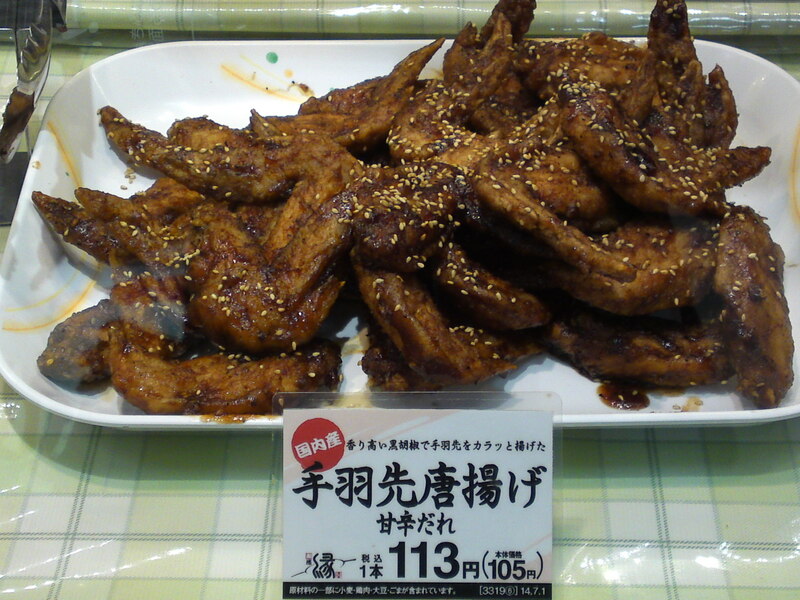 Their offerings vary with the seasons but you will find most of your favorites all year through! 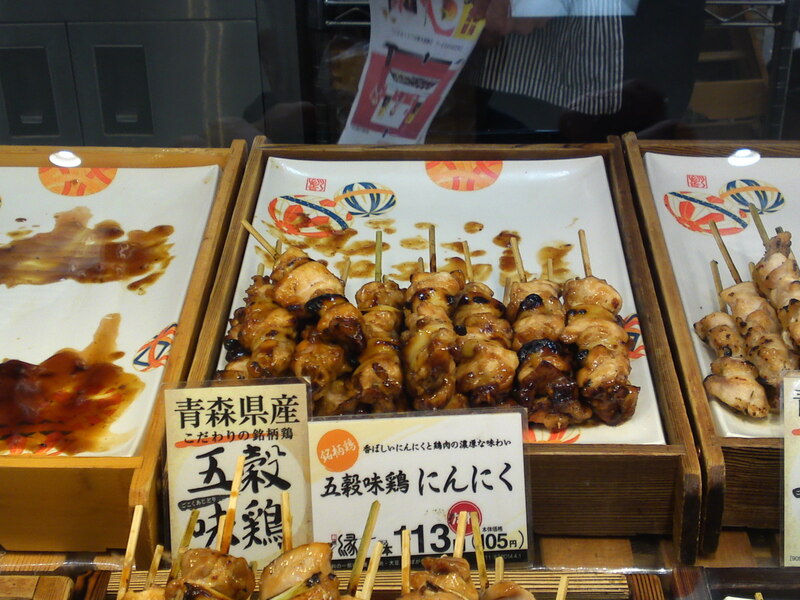 I have included an explanation of each morsel for you to copy next time you visit Matsuzakaya Department Store in Shizuoka City! 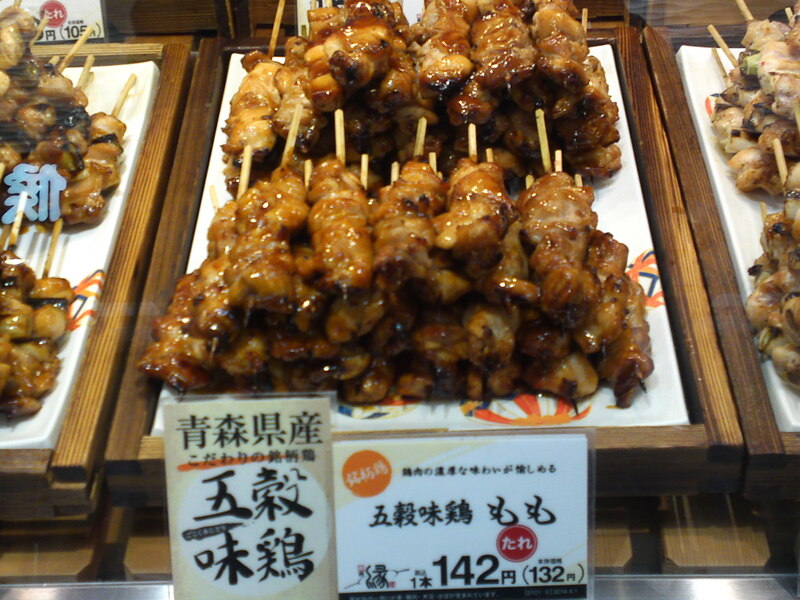 Do note that the prices may sound a bit higher than in cheap shops but the quality entirely entitles them! 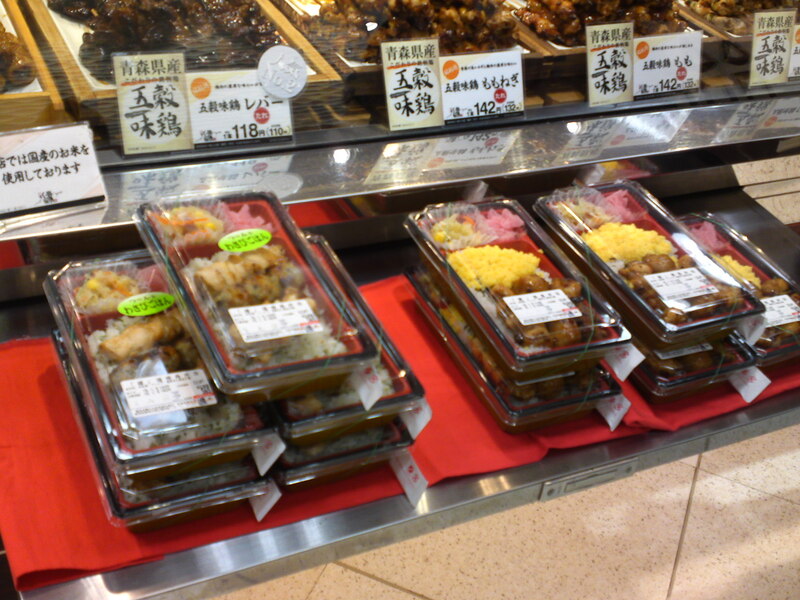 Two types of fresh lunch boxes/bento/弁当, regularly changed! 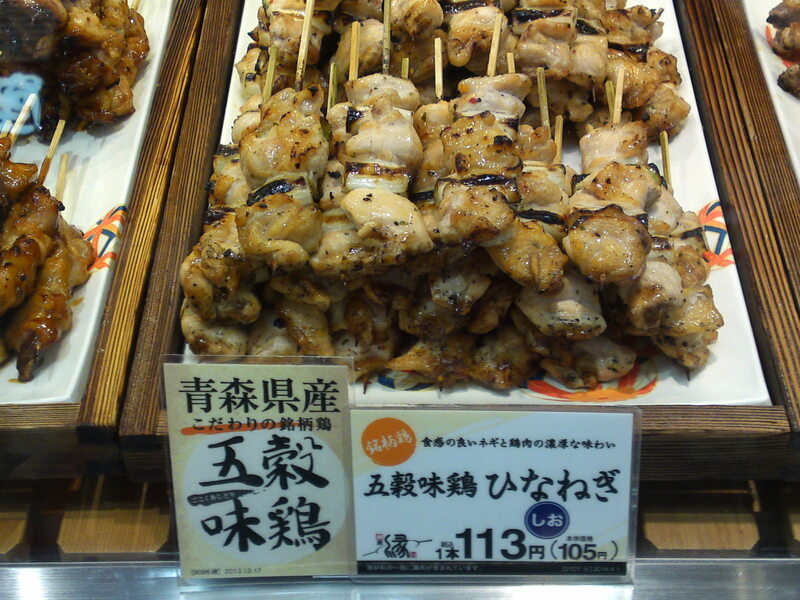 Broiled chicken thigh and scallions/leeks brochettes/ももねぎ! 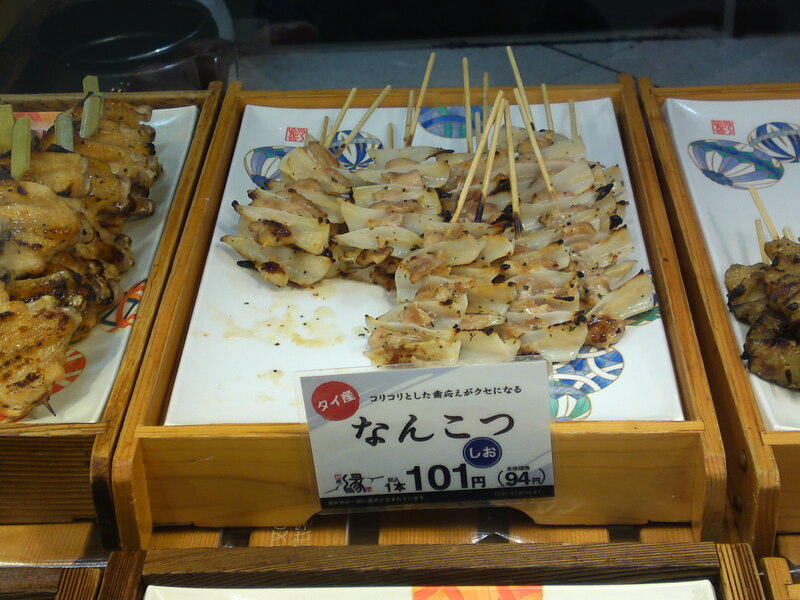 Grilled chicken shoulders and scallions/leeks/Hinanegi/ひなねぎ! 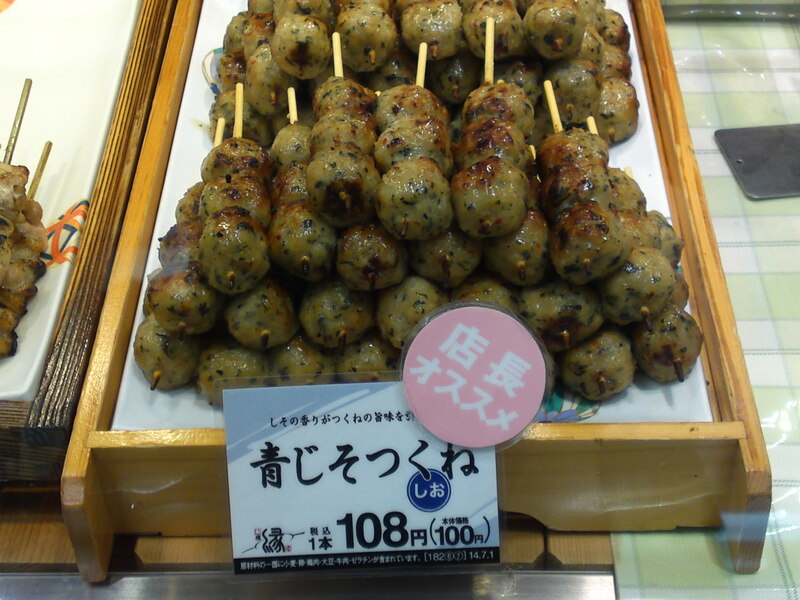 Chicken and perilla/shiso balls/Shiso Tsukune/しそつくね! 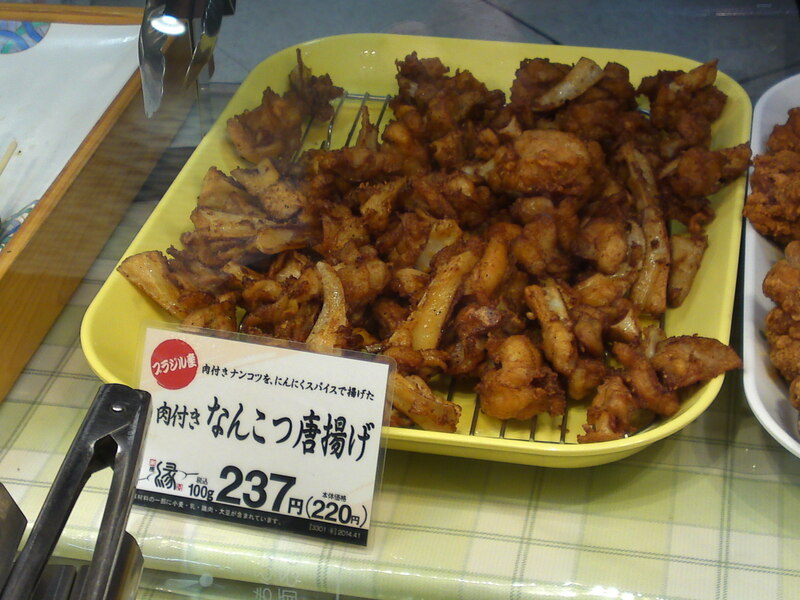 Deep-fried chicken soft cartilages/Nankotu karaage/なんこつ唐揚げ! 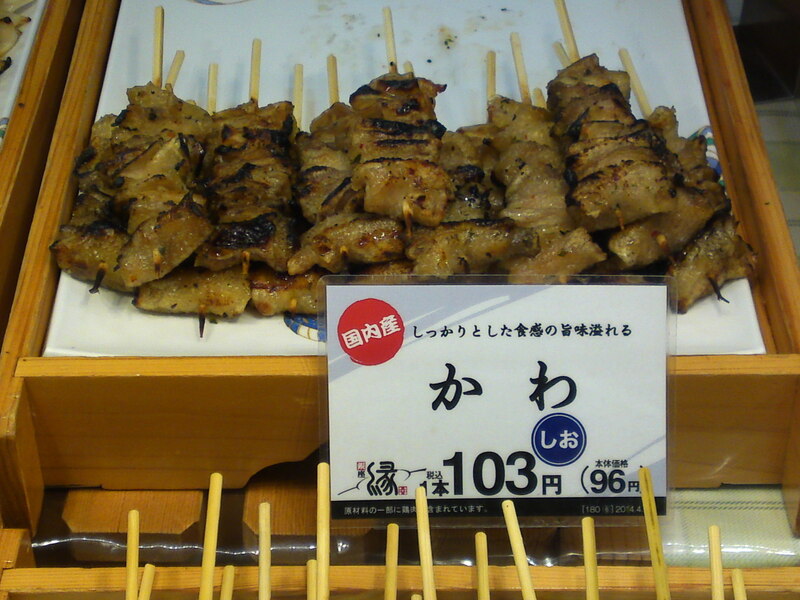 Price per 100 grams! 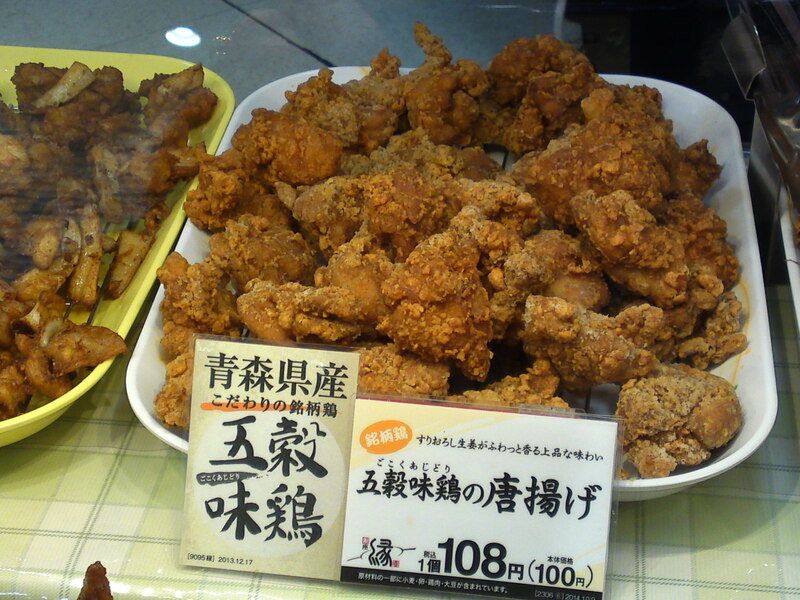 Deep-dried chicken/Karaage/唐揚げ! 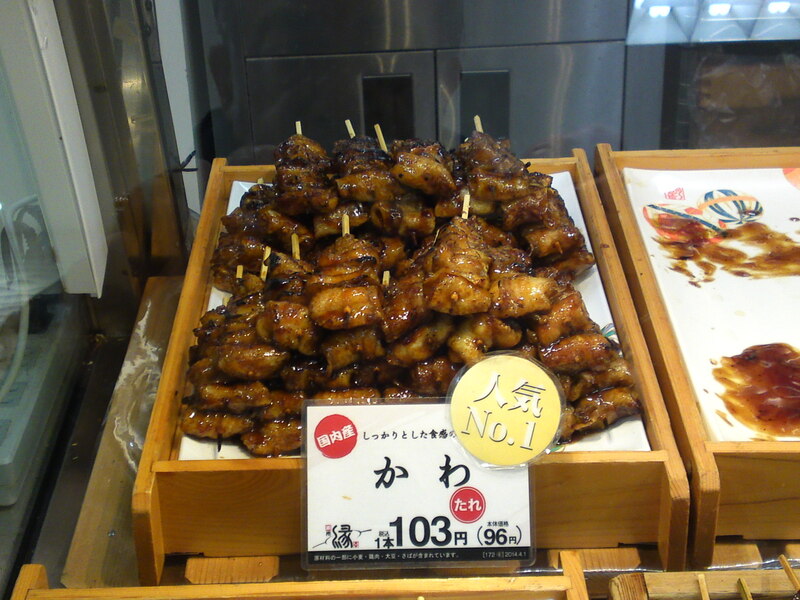 Price per 100 grams! 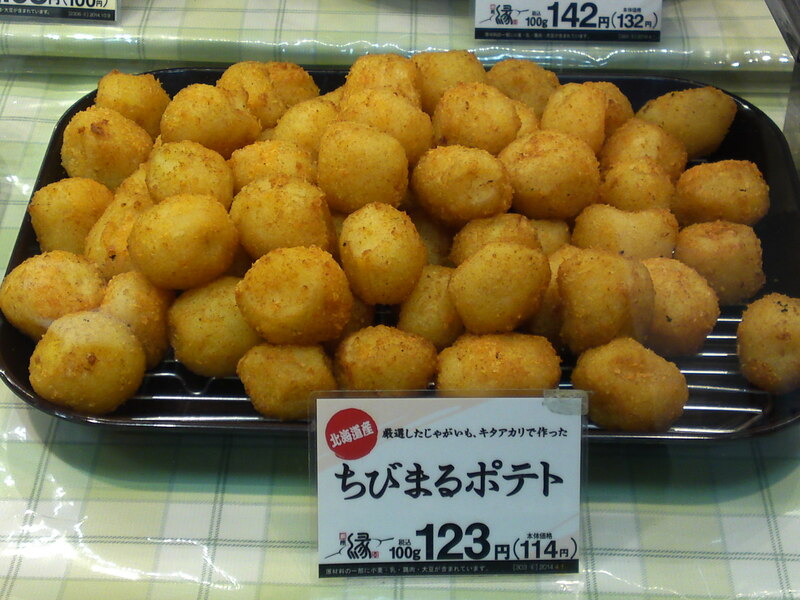 Deep-fried mini potatoes/Chibimaru poteto/ちびまるポテト! 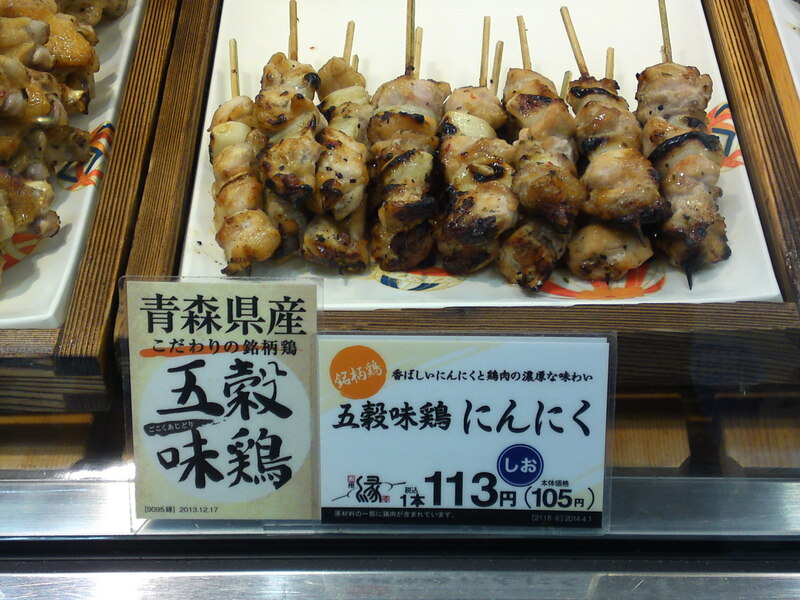 Price per 100 grams! 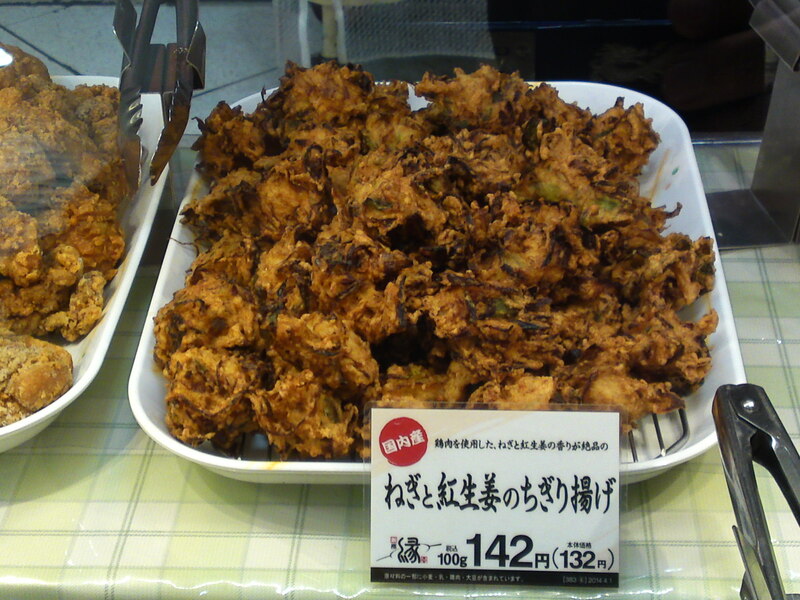 Deep-fried chopped scallions/leeks and red ginger/Negi to benishouga no chigiri age/ねぎと紅生姜のちぎり揚げ! 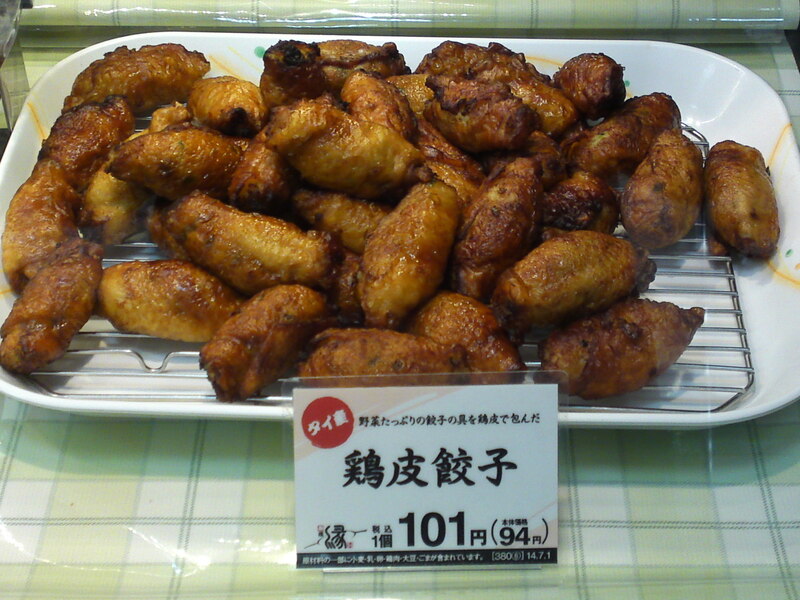 Dumplings deep-fried inside chicken skin/Tori kawa Gyouza/鶏皮餃子! 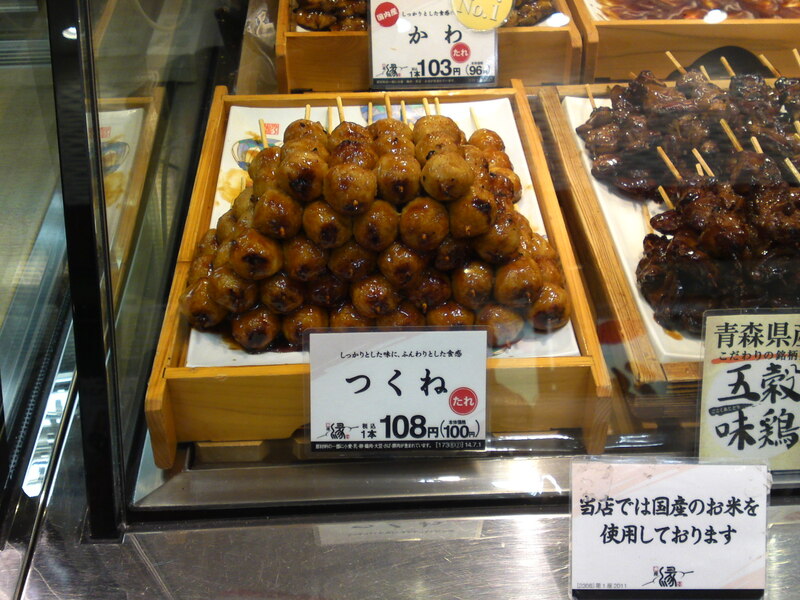 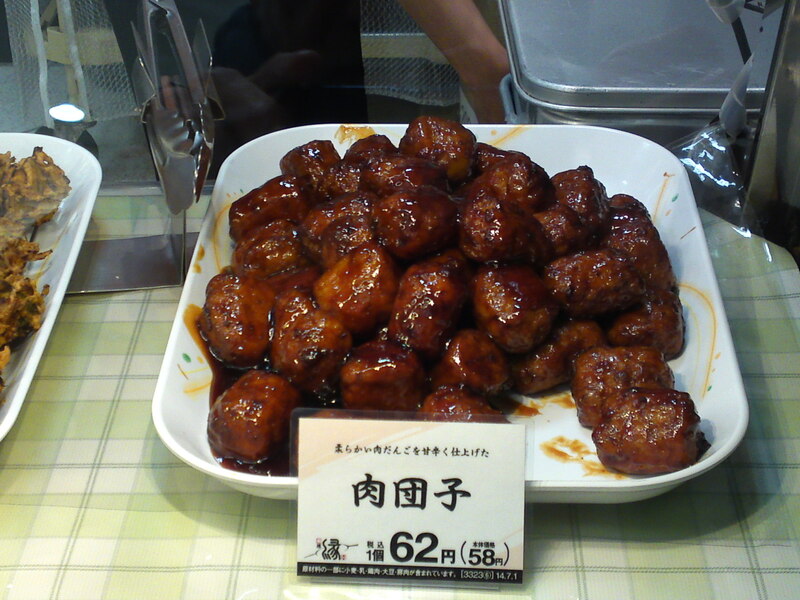 Chicken balls in sweet and sour sauce/Niku dango/肉団子!